[TECH]TONICS | gURROO - A new generation of innovative minds. 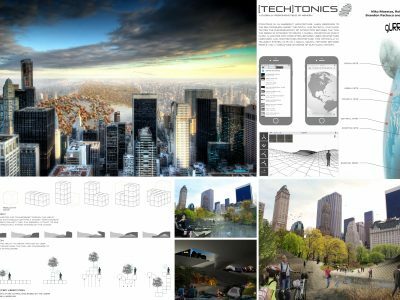 [TECH]Tonic is an emergent architecture, which responds to the relationships amidst the digital and physical, and investigates the phenomenology of interaction between the two. The design is intended to create a global condition of event, which allocates for interaction between user-architecture, user-user, and architecture-architecture. This artificially intelligent system acts as a social neural network between people and a world-wide database of our human history. 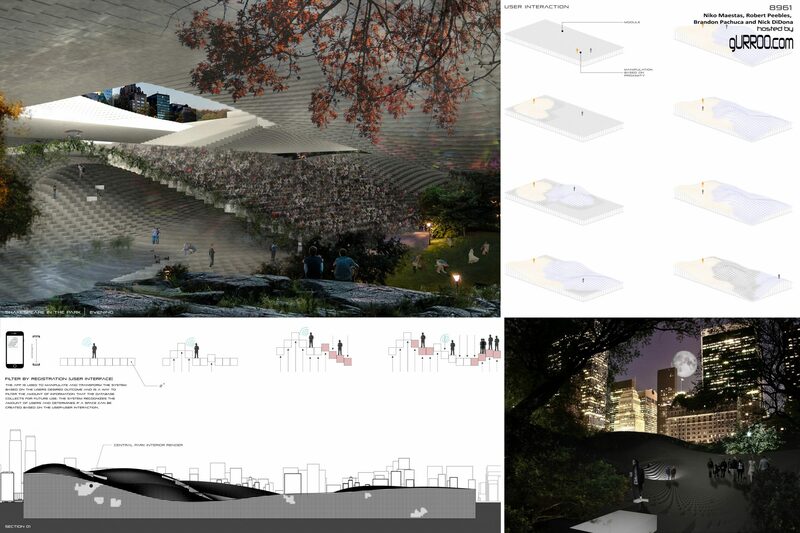 The experience is a physical map annotated by topography, shaping, and interaction. [TECH]Tonic is ultimately about interacting with architecture and creating spaces that are personal to one’s life – creating an ideal space, enhancing the individual’s perception of space through three-dimensional surface geometry, and having the ability to recall personal spaces. 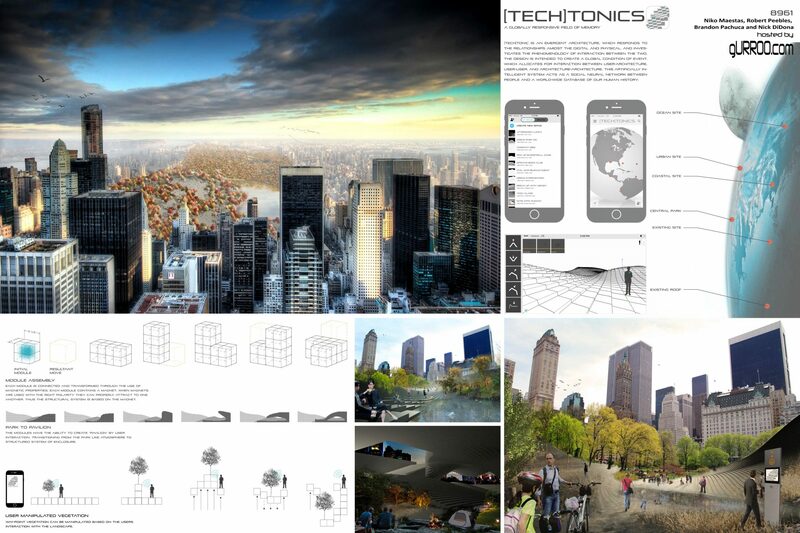 The resulting of this emergent architecture is an experience of space that provides differing understanding of the larger global network of human history, a unique and complex digital zone of interaction with any site across the globe – Central Park, the middle of an ocean, an urban street to a rooftop in Tokyo. 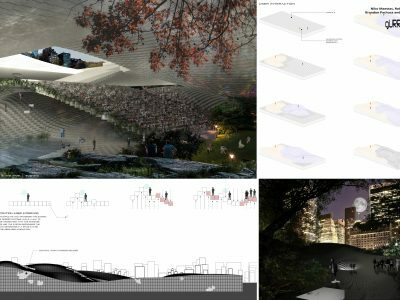 * Central Park is used as a way of implementing this system and enforcing the idea that it can take on any form and be located in essentially any location.